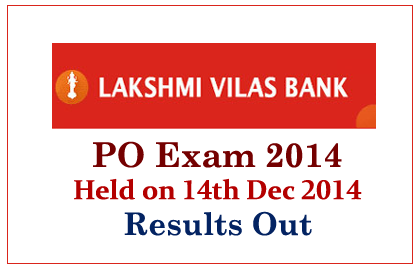 Lakshmi Vilas Bank has announced its result for the Probationary Officers (PO) online examination which held on 14thDecember 2014. Candidates those who have attended the examination can check their result from the link given below. Roll numbers of the candidates those who are selected were mentioned in the link. Selected candidates will be called for the next interview round, and bank will send the interview call letters soon. To view the complete details click the link given below.